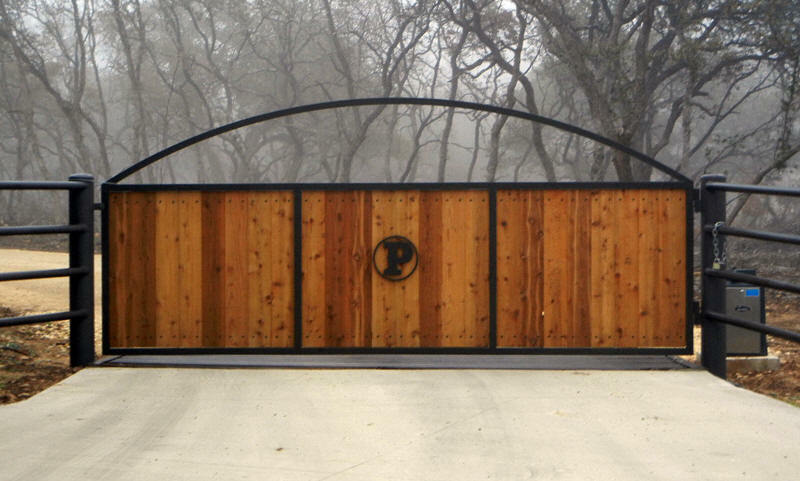 Poutra Enterprises, Inc. is located north of the San Antonio Texas in Boerne and has been installing ranch gates, swing gates, slide gates, and automatic entry systems in south Texas and the Texas Hill Country since 1985. We sell, install, and service gate operating systems and we specialize in installation and service of solar applications for those locations where no electricity is available at the gate. We stock a wide variety of accessories with proven reliability such as entry keypads, card readers, intercom and telephone entry systems, traffic detectors, free exit detectors, long-range transmitters and receivers, automatic locks, tire rippers, all types of safety devices, and several different surge suppression devices. We carry more than ample liability insurance for our employees and our vehicles and are licensed by the State of Texas Private Security Bureau. When you need an automatic gate company in the area around San Antonio, remember Poutra Enterprises, Inc. This site voted one of Best Texas Hill Country Sites. The south Texas custom gate site written, hosted, and maintained by HUEY Productions.